With seven new hotel openings announced across the country, we are thrilled to share that one of those hotels is located in Phoenix. 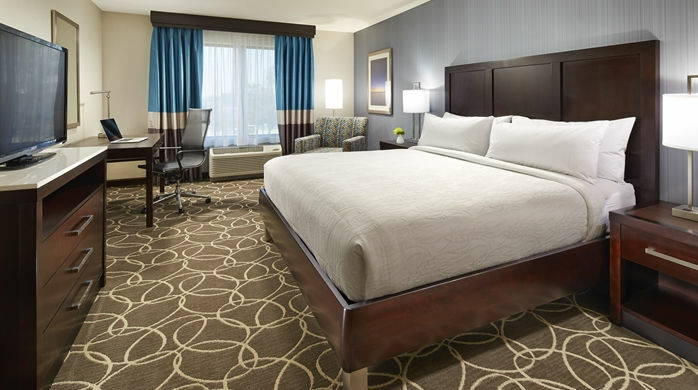 The Hilton Garden Inn Phoenix-Tempe ASU Research Park has some fabulous offerings to bring locals and travelers alike. Read on to see the reasons why are loving this new hotel! If there’s one thing all Phoenicians love, and all travels love enjoying while visiting Phoenix, it’s a swimming pool. There are not many places in the country where you can enjoy a dip in the swimming pool year-round, and we are lucky enough to live in a place that does. And the pool at the new Hilton Garden Inn Phoenix does not disappoint. This massive pool does not only offer ample space for guests to enjoy, the area also offers up a whirpool for a nice night under the stars, as well as two large fire pits to keep warm once the desert sun goes down. Another thing Phoenicians and travelers love is food. Phoenix is becoming quite the foodie city, and so we are excited that two new eateries are joining the scene. Hilton Garden Inn Phoenix’s TRES Tempe is taking trendy eating to a whole new level. Though casual, TRES’ food is anything but ordinary. Blending flavors of Mediterranean and Southwest origin, freshness is of utmost importance at this restaurant. Enjoy a modern meal at TRES, a meal you’re sure to repeat many times. 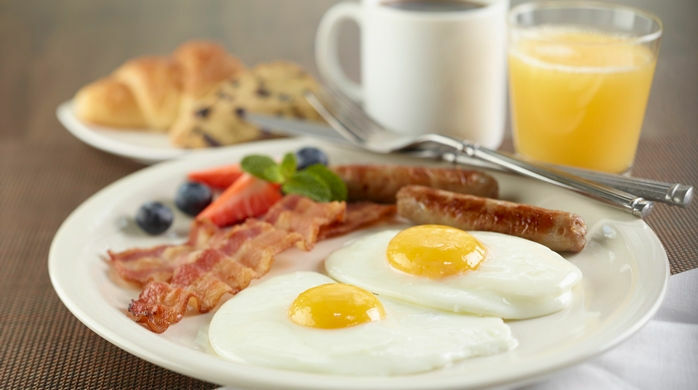 Breakfast and dinner can be had at this casual grille. Look for your classic favorites, as well as some interesting twists here. 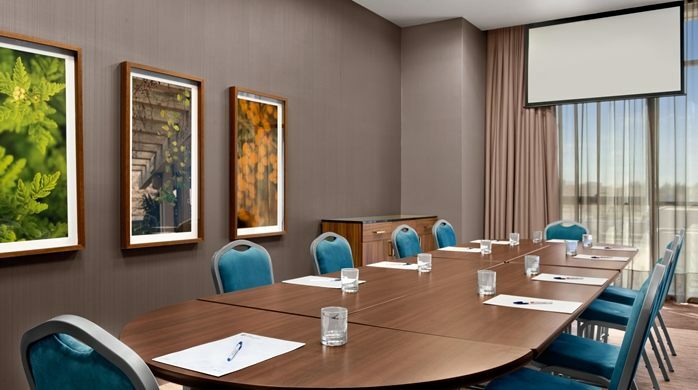 Because Phoenix is such a fabulous destination for companies to hold conferences, Hilton Garden Inn Phoenix has created over 5,000 square feet of flexible meeting space that can be used to host all of your company’s needs. And this space isn’t only for travelers — locals too are invited to take advantage of this great space. We aren’t quite at the level of L.A. yet, but traffic in Phoenix isn’t always the most fun thing to navigate. Thankfully, Hilton Garden Inn Phoenix solves this issue. They offer complimentary shuttle service anywhere you’d like to go within a 5-mile radius. To learn more about this fabulous new hotel, and to book your stay there today, visit the hotel’s website here.